Meltdowns and toddlers seem to go together like peanut butter and jelly. Some people have asked me why I even bother taking my Dole Whips on vacations and why not wait until they are a little more agreeable! Well, I believe every stage has it’s issues, I am personally not looking forward to taking my know it all tweens and teenagers to the parks and I really think that with some preparation, the meltdown ratio can be minimized or completely eliminated. Here are some meltdown points to help everyone stay happy. Too much walking! Some parents are convinced that a day at the parks with a walking 5 year old isn’t going to cause some kind of issue. They think that since they don’t need a stroller back home to walk around the mall, they should be fine at the parks. To that I say, “HA”, and “no”, they will be exhausted and they may even fall asleep! Be prepared, give them an option to take a break and you will easily be able to continue your day. Hot Dole Whips are Unhappy Dole Whips! What happens to a real Dole Whip in the heat, it’s a hot, melting, sticky mess. Same goes for the kid version of a Dole Whip. Dress them comfortably, nothing heavy or constricting. Make sure their feet are cool. Stroller Fans and Misting Fans are a must! Know your tribe! Waiting to have those table service meals at dinner time may be too much for some kiddos. They may have had a full day and will not be interested in sitting and waiting for Pooh Bear to make his way around to the table. Try and choose a time when you know your Dole Whips will be in the best mood. Line Entertainment! Have some kind of activity you only do while waiting in line. This could be bubbles, a certain game on your phone, looking for hidden mickeys or bring a small toy that is only given during this time. I find that the bubbles keep all the kids in the vicinity pretty happy and parents are thankful! Take Breaks! Explore the quieter places like Tom Sawyer Island or enjoy the Splash Pads. Give them time to get the running and climbing out of their systems. Have a small Hub Grass snack break and people watch. Be purposeful about break time and your entire tribe will be happier. Budget! Older Dole Whips will be able to understand a souvenir budget. You have X amount of dollars to spend in total or X amount of dollars per day to spend. Talk with the older Dole Whips about how they would prefer to use their allotted funds. If smaller Dole Whips will melt down over not getting that toy in the shops, don’t bother bringing them in or have small trinkets that will keep them content from the dollar store with you. Keep your cool! So you have prepped and your Dole Whip is still not having any of it! No biggie, don’t get upset! You are not the first parent, nor the last parent to have a cranky Dole Whip and people get it. 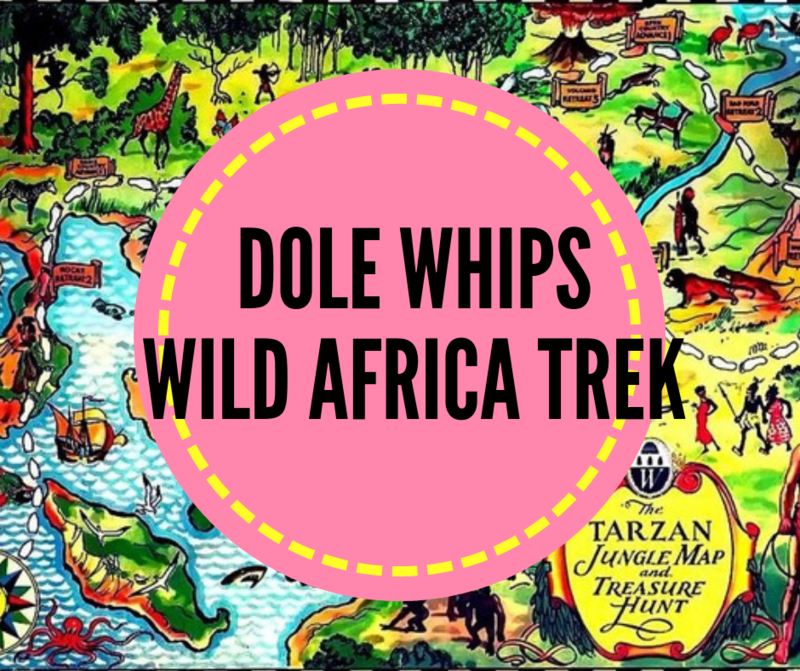 Just take a breather, chances are you and the Dole Whip need it! That is fantastic! You could have them search for fairies and really keep them busy!